Melanie Fox is an acclaimed dialect coach and accent reduction specialist who helps non-native English speakers articulate clear business English. Melanie works with executives, staff, and rising stars in the entertainment (actors, singers, models) and sports industries to overcome their difficulties and fears as they interact, interview, network, or deliver camera-ready presentations in English. She can coach clients from any world language, but has particular expertise coaching speakers of Spanish, Brazilian Portuguese, French, Italian, Russian, Polish, Chinese, Japanese, and Korean, as well as accented English (regional variations of American or British English). Are you a native speaker of a language other than English (non-native English speaker) or from a region noted for a distinct regional accent (speaker of accented English)? Many non-native English speakers note that the nagging presence of a “foreign accent” impedes them from succeeding in the business world or from reaching their full potential. 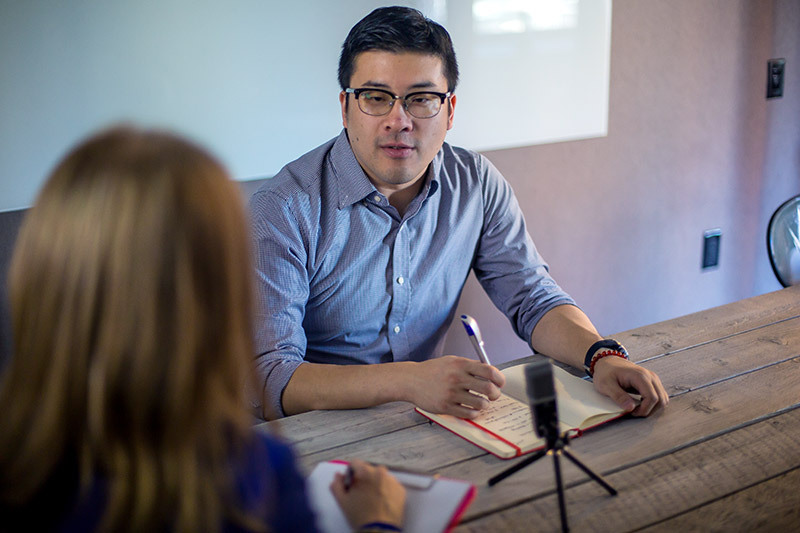 Many non-native English speakers complain that listeners don’t fully understand them due to diminished intelligibility—particularly important to employees in client-facing roles—and most notably over the telephone. Other speakers feel that although their words are understood, they lack the nuances needed to deliver the exact message they mean to portray—either they are too direct or aggressive, too indirect or passive, not humorous enough, or even unintentionally humorous. Unfortunately, accents can also carry various stigma, which can trigger latent or even unconscious prejudices of executives, colleagues, and customers alike. Some native English speakers of non-standard dialects report similar accounts of the hindrance their regionally or culturally accented English poses to their success. Since the media tends to drive Standard American English (SAE) as the dominant and most accepted form of English in the US, it reinforces the perception of various dialects as non-standard—examples include Brooklynese (the prototypical New York accent), Boston accents, many southern US dialects, and African American Vernacular English (AAVE), formerly and politically incorrectly known as Ebonics, and many others. Although some people feel accent reduction (also known as accent modification or accent elimination) symbolizes the loss of cultural identity, Speech Fox emphasizes that being in control of one’s speech can be empowering and provides a range of language options. Think of it as adding extra dialect options to one's inventory. For example, a speaker of Spanish-accented English may choose to speak a more standard dialect for business yet use his/her “real” or authentic accent with family, friends, and in social situations. This allows a speaker to “code-switch” on-demand, maneuvering his or her accent according to the audience and occasion. Contact us for accent reduction options that can help you develop your speech for professional development and/or personal gain, while maintaining your identity. Are you looking to write, rehearse, or polish a keynote speech or other high-stakes business presentation? Are you looking to enhance your executive or leadership presence? Are you the face of your brand or organization and looking to polish your business profile? Speech Fox offers elite speech coaching for C-Level Executives and other business leaders, business owners, and “high-potentials” looking to enhance or improve their corporate presence and business profile through clear communication and presentation skills. Speech Fox can help you cultivate, refine, or rehearse your delivery of content for keynote speeches, sales campaigns, product launches, client-facing, board, or partner presentations, internal staff meetings, or other high-stakes presentations. Contact us to build clear, confident, and consistent communication with clients, partners, colleagues, and/or boards of directors. Are you looking to create, refine, rehearse, or perfect a business presentation, keynote speech, sales script, product pitch, or even an elevator pitch for networking? Are you preparing for a job interview? Speech Fox offers expert advice and coaching for creating, editing, practicing, and perfecting business presentations, including (but not limited to) keynote speeches, sales scripts, product pitches, business presentation, or even an elevator pitches for networking. Speech Fox also offers editing for written presentations, print and web-marketing collateral, PowerPoint decks or other slideshow presentations, telemarketing or other outbound calling scripts, and client-facing email templates for sales, account services, customer service, and technical support. Speech Fox also offers support for job seekers, including résumé editing, cover letter template creation, LinkedIN profile editing, interview preparation (including mock interview practice), thank-you letters, and best practices for job interview follow-up. Contact us to create a stellar presentation, prepare for a winning interview, or make a lasting impression on your boss, employees, coworkers, and clients. Are you an actor, comedian, or voice-over artist looking to learn a dialect for an upcoming role or audition? Are you looking to reduce your foreign or regional accent to sound more standard or to avoid being typecast? Speech Fox specializes in custom-tailored language lessons into any target dialect. We can even tailor lessons to review your exact script, monologue, sides, or other audition piece. Allow us to research and analyze any dialect of English, break it down systematically, and mark up your scripts to help you absorb it quickly. Contact us to request dialect coaching lessons. If possible, please specify the dialect and any character details (gender, age, profession, etc. ), so that we can pick native-speaking speakers from whom to model the target accent. Are you a student of English? Are you studying for the TOEFL, TOEIC, IELTS, or other English language proficiency exam? Contact us for English tutoring to help you prepare for your upcoming English language proficiency exam. Do you want to learn or improve your skills in a “foreign language” for an upcoming meeting, business trip, or presentation? Do you want to converse with certain clients in their native language? Are you looking to perfect your pronunciation in another language for an upcoming speech? Speech Fox can help you meet your professional language learning needs through bespoke tutoring. We pair a qualified native-speaking consultant to be your language coach and design a custom curriculum to meet your specific needs. The instructor can hold onsite lessons at your place of business, at our midtown Manhattan office, or meet you virtually. Unlike a traditional classroom, we bring the learning to you and tailor the coursework to focus on the specialized content you seek. Contact us for private, custom-tailored world language instruction to help you meet your professional or personal goals.